Natural, delicious, and full of antioxidants. If you ever wondered, "How do antioxidants work? ", they work through the neutralization of oxidation. Unstable molecules known as free radicals promote oxidation within the body, breaking down cells, proteins, and DNA in the process. 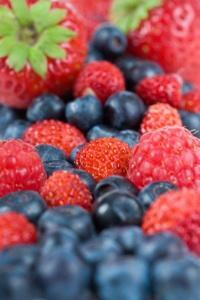 Antioxidants work to neutralize these roaming free radicals and their damaging effects. Antioxidants are nutrients and enzymes capable of stopping or intercepting the chain reaction of free radicals. Within the body, a battle is ongoing, one where antioxidants and free radicals meet from opposite sides. While free radicals aim to increase their number, antioxidants stop the recruitment. A "free radical" refers to any atom, molecule, or ion with unpaired electrons. In the case of oxygen, reactive oxygen species (ROS) are free radicals with unpaired electrons in their outer shell. This composition makes them unstable and highly reactive, as they actively seek out stabilizing electrons. To do so, the free radical steals an electron from a nearby cell constituent. This in turn, makes the robbed molecule unstable as well and thus, a free radical too. It is this chain reaction that antioxidants work to defend against. How do antioxidants work? By donating their own electrons to the seeking free radicals and to replace any lost during oxidation. An apple: When its skin is peeled, an apple begins to turn brown. This is the oxidation process at work. However, dip the apple in lemon juice (an antioxidant) and you slow the oxidation process from taking hold. A piece of metal: The initial studies of antioxidants were actually done in relation to industrial cases; namely, the corrosion of metal. When metal rusts, it's because of oxidation. Chemical antioxidants are meant to neutralize this effect. Olive oil: If olive oil is improperly stored or made with fewer antioxidants, then it will age more quickly and consequently, turn rancid in shorter time. What turns the oil rancid is oxidation. Now think of the body and the article damaging effects oxidation can have on it. Free radicals in the body are natural and normal. However, the body also expects to have an adequate number of antioxidants to help it defend its cells, proteins, and DNA. A diet rich in antioxidants can help with that mission. There are literally thousands of antioxidants to choose from when building a line of defense against free radicals. As research continues to look into their positive impact, new antioxidants are discovered each day. With this said, which antioxidants should you choose? Fortunately for vegetarians, the news is good. Many of the foods you likely already eat, are chock-full of antioxidants. Dietary sources include those rich in vitamins C and E, beta-carotene, selenium, and zinc, as well as foods with enzymes like superoxide dismutase and catalase. The presence of enzymes such as anthocyanidin, catechin, and lutein, is what gives plant foods their pigment and aroma. Recall the peeled apple that turned brown until it was dipped in lemon juice? The reason why the oxidation process halted was because of the vitamin C present in the juice. The same line of thinking pertains to the body and its need for vitamin C and E and other familiar vitamins and minerals.While research continues as far as the beneficial extent of antioxidants, it's clear that a diet rich in the natural defenders can help. What's more, natural foods, such as those mentioned above, are the best sources you can find. All it takes is a trip to the grocer's. HowStuffWorks: An overview of how antioxidants work -- their process and the types available. WebMD: A feature on antioxidants and their ability to minimize free-radical damage.